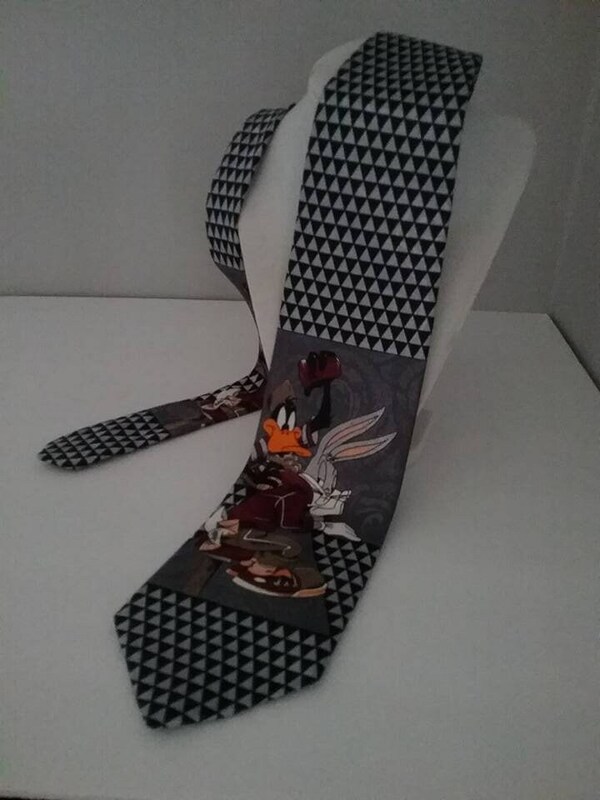 Men's Vintage Looney Tunes tie. 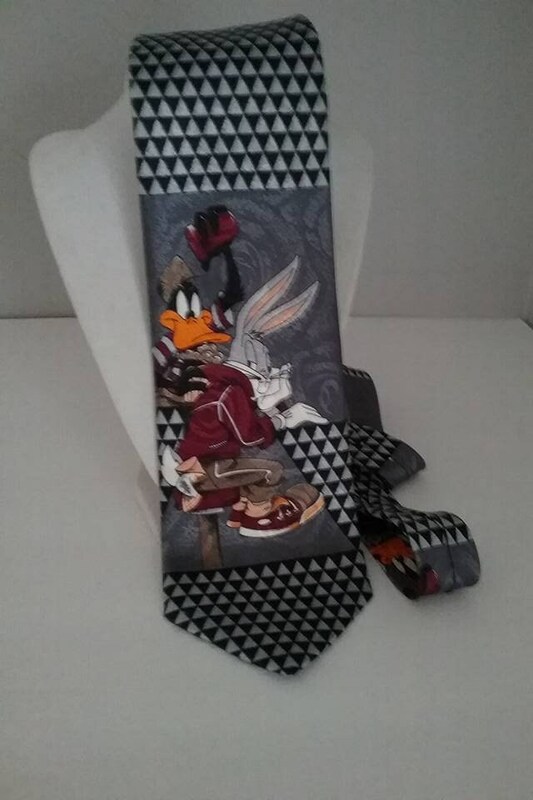 Bugs Bunny fronts the tie in a Jogging suit an sneakers. 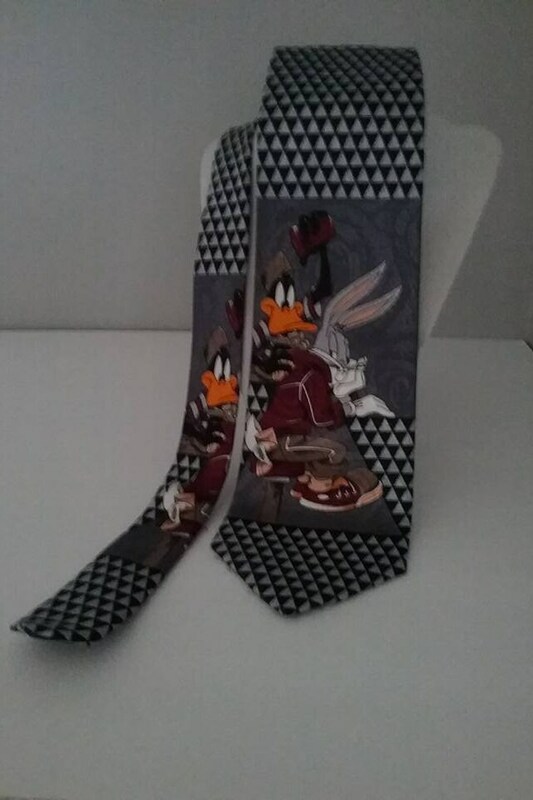 Daffy Duck appears behind him. 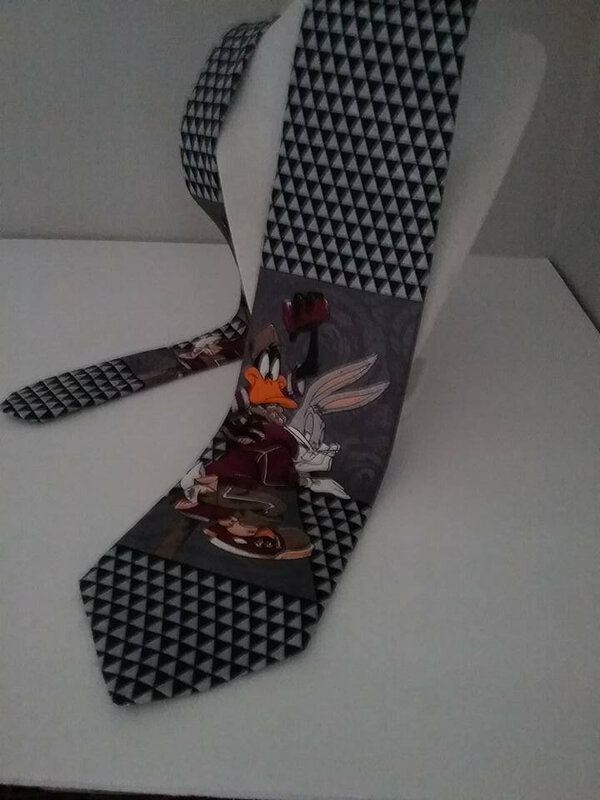 A grey and black check pattern complete the length of the tie. Approx 53" length x 4" at the widest width, 1.25" at smallest width. A perfect gift for the collector. Excellent vintage condition.